Disclosure: Some of the links on this site are affiliate links, meaning, at no additional cost to you, I will earn a small commission if you click through and make a purchase. I wanted to get in one more Mother's Day card before the day arrives so here's a pop-up card for that special mom in your life. 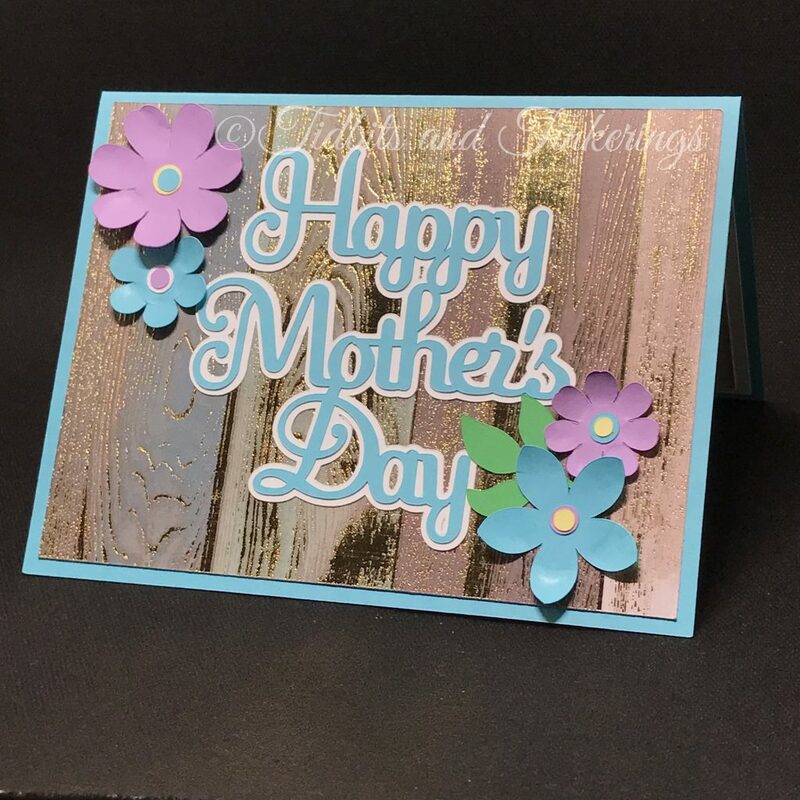 This card was designed in Cricut Design Space using all free and Access images. This one is going to be a bit hard to explain so I may end up doing a video of putting together the base layers at least. The foundation of the card are the 2 pieces that have the score lines, the inside piece is the one that has the pop-up cut which you need to fold to create a 'step'. Adhere these two layers together making sure that you don't glue the 'step' to the base, you want it to pop out. I also included 4 panels that you can use if you wish, in my photo I used the foiled wood cardstock for the panels. I used a piece of stiff acetate to build my floral arrangement 'in' the pot but you can also cut a piece of cardstock or just build off of each flower, if you opt for acetate or cardstock you'll want to cut it in a sort of hot air balloon shape so that the bottom will be hidden behind the pot and the top will round out to attach the flowers to. Assemble your pot using the scalloped piece, the trapezoid, and the small rectangle and then adhere it to the front of the 'step' .... if using acetate or cardstock to build on you'll want to adhere that first and then the pot on top of that. Next you'll add the centers to all of your flowers and then make your arrangement making sure to close your card every now and then to check that you aren't getting flowers too far up that they show when the card is closed. now just finish it off with the remaining embellishments. This project is only available as a Cricut Design Space file. You can grab the file from here. Want to say thanks? Drop some change in the tip jar to buy me a coffee ... or perhaps some craft supplies! If you enjoy my files and videos, and would like to say thanks, you can drop some change in my tip jar. Your generosity helps me keep this blog up and running (paying hosting and domain fees) and also keeps me motivated to keep creating new files to share. ** All transactions are processed through PayPal so I never have access to your personal financial information. ** This is a ONE TIME transaction, not a recurring subscription. Wonderful card! Thank you for sharing it with us! I am unable to access the file through Design Space, it indicates that it has been saved as private. Is there another way to access it or do you have a similar card that is still available? 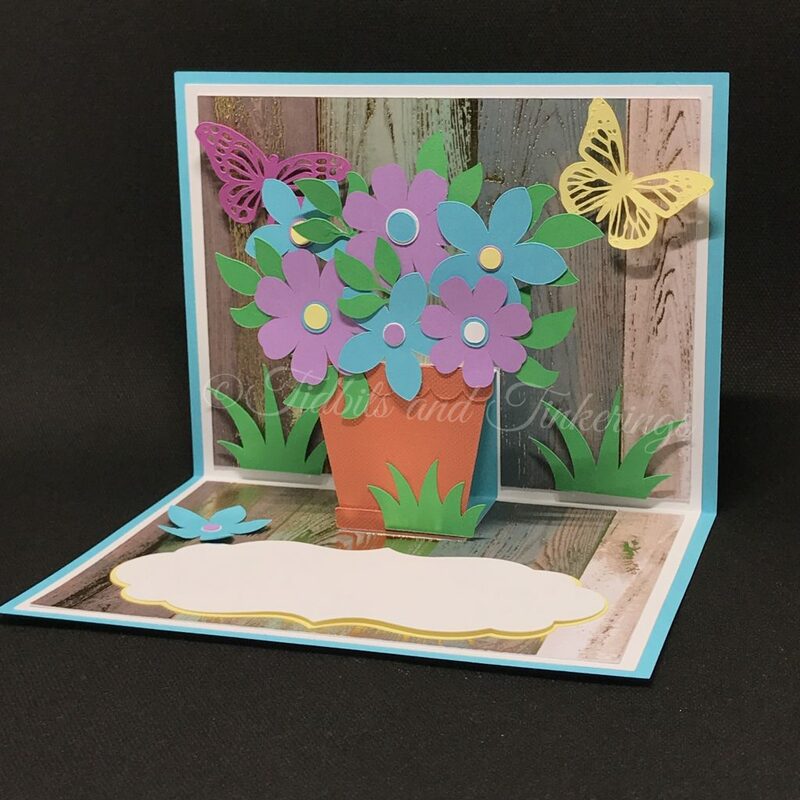 I would love to try making a pop up card. Thank you. Use this link http://community.cricut.com/profiles/57b0c0c63a19ca9a5eed0456/project-detail/590b8adb76b7e048a2f61cdb. When that opens click on the green “Make It” button in lower right corner which will open to the mat preview, then click “Cancel” and it should bring you back to the canvas and load the file. This is a glitch with shared projects and Cricut is aware of it and trying to track down the cause. Thank you. Can’t wait to try it. Thank you for sharing! Thank you, Terri. A gorgeous card. I have the video recorded but still have to edit and upload. I will try to get that done tomorrow. I can’t access the file. Design space would not let me log in through your link. Is there anyway you can share this another way? I also have a cameo. This card is beautiful! Aww.. Such a lovely card! But I can’t make it because I have a Cameo. I can use your svgs in my program – but I don’t have a Cricut to join the Design Space.